Feta cheese + mint + fruit = a yummy salad! 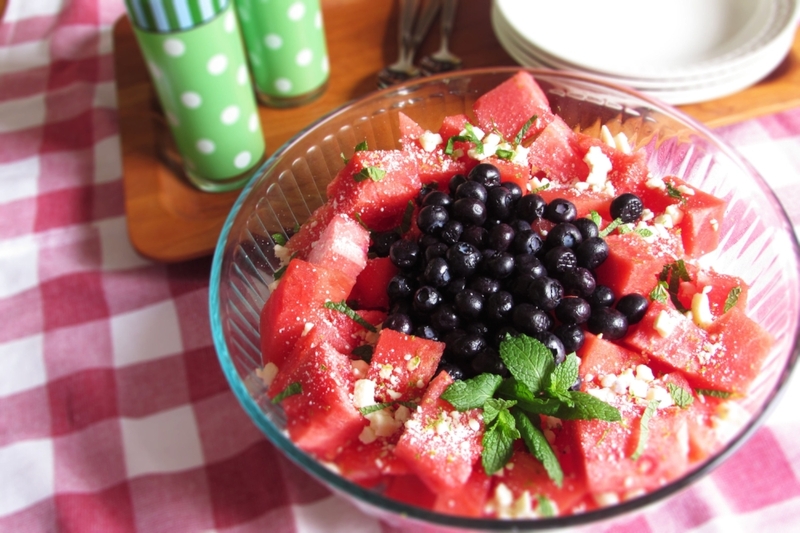 I particularly like this salad with watermelon. I think the salty feta cheese must remind me of sprinkling salt on watermelon slices growing up (with watermelon juice running down my arm!). This concoction might sound odd but trust me, it’s good! Combine fruit, feta cheese and mint in a large bowl. In a small bowl stir together the lime juice, zest and olive oil. Pour over the fruit mixture and toss gently to coat.